Provide comfort for the family of John "Jack" Milburn with a meaningful gesture of sympathy. Peacefully at the Haliburton Hospital, surrounded by those who loved him dearly, Jack passed away at the age of 87. 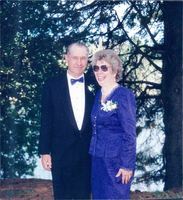 Beloved husband of the late Elva (Hicks). Dear father of Eric and Suzanne and Scott and Dawn. Loving grandpa to Taylor and Mike, Megan and Andy (Liam and Jack), Leandra and Bob (McKayla, Adrianna and Garrett). Jack was predeceased by his brother Bert, brother-in-law Gerald and sister-in-law Muriel. Lovingly remembered by his sister-in-law Betty. Beloved son of the late Richard and Dorothy. Friends are invited visit the family at the Gordon A. Monk Funeral Home Ltd., 127 Bobcaygeon Rd., P.O. Box 427, Minden K0M 2K0 on Tuesday, April 23, 2019 from 4:00 until 7:00 pm. A Graveside Service will take place at the Ingoldsby Pioneer Cemetery at a later date. Cremation has taken place. Memorial Donations to the Ingoldsby United Church or the Haliburton Highlands Health Services Foundation (HHHSF) would be appreciated by the family. We encourage you to share your most beloved memories of John "Jack" Milburn here, so that the family and other loved ones can always see it. You can upload cherished photographs, or share your favorite stories, and can even comment on those shared by others.